I’ve never been one for subscription boxes. Things like Birchbox, and Glossybox, which send you a surprise selection of beauty samples each month for a set fee, hold little appeal to me. For one thing, I’m very choosy with makeup and know exactly what I want (and don’t want). Giving up the ability to choose for myself in order to get a bunch of randomly-selected miniature products and potions that will just clutter up my bathroom counter is just not my thang. 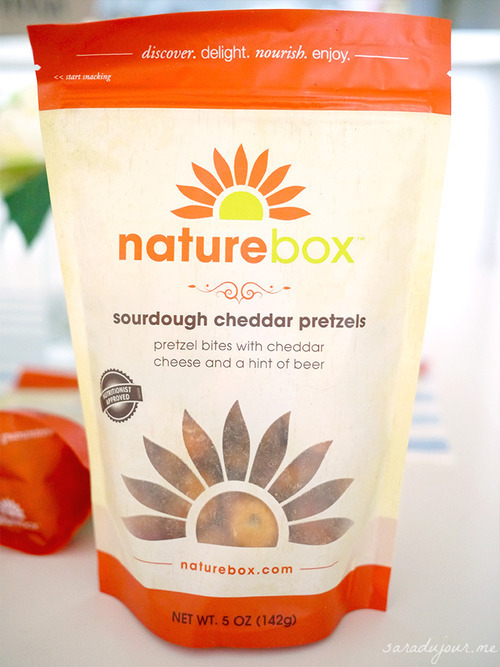 Naturebox takes the idea of the subscription box, and applies it to healthy(ish) snack foods. Now this is exactly my cup of tea. Here’s why. b) I’m not a picky eater. 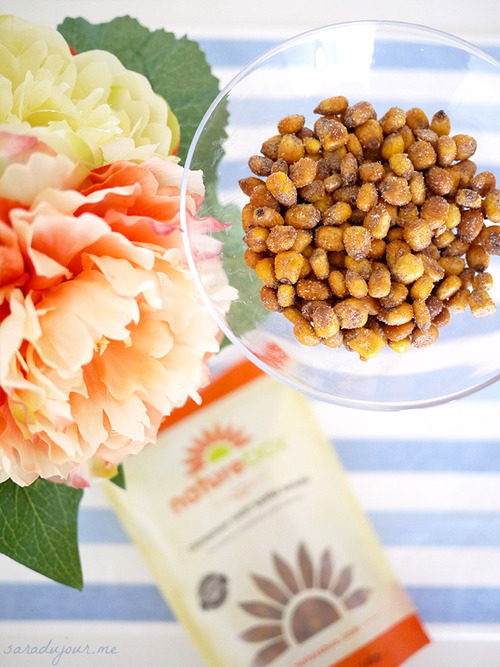 c) eating healthier is much easier when the food comes to you! Subscription boxes are ideal for people who aren’t too picky and don’t really know what they want. You get to try a bunch of different things, and getting a package of edible goodies is like Christmas morning…once a month! 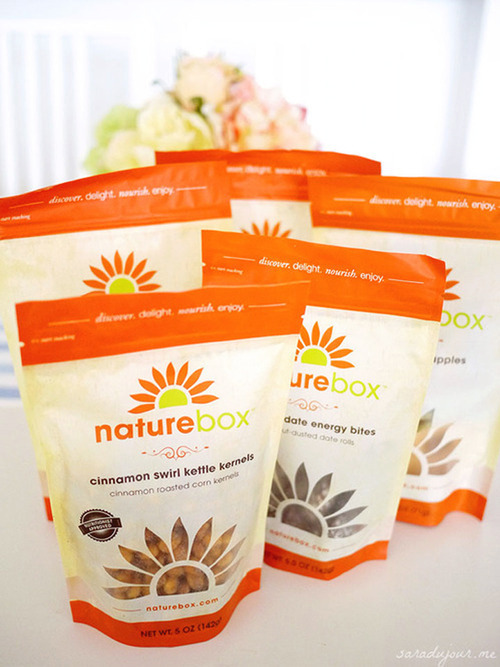 Naturebox has been a hit in the U.S. for some time now, but has only recently graced those of us north of the border. Right now, Canadians have access to a beta version of Naturebox, but they promise to add all the features soon. 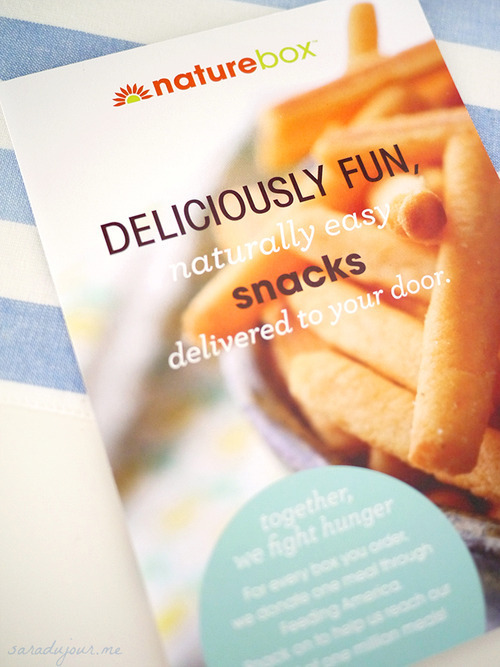 Each box features five full-sized snacks for $19.95 US + $4.95 shipping. Americans have the ability to browse through all the available choices (and there are many!) to pick their five favorites. They can also filter by taste or dietary preferences, such as vegan or gluten-free. 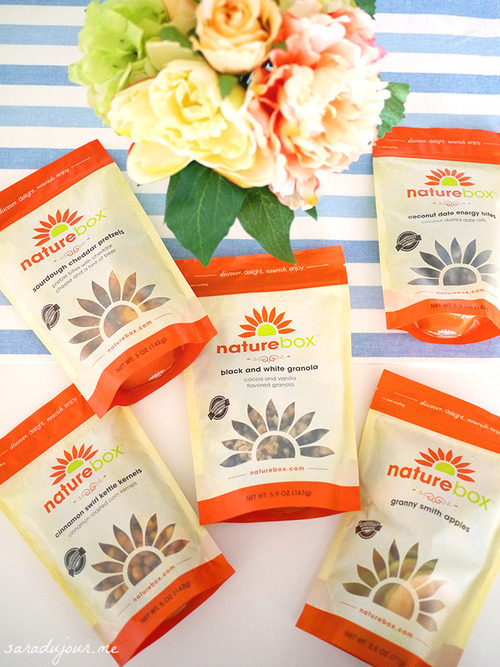 You let Naturebox know your personal preferences, too – like whether you prefer salty snacks, sweet ones, crunchy textures, or chewy things. I’m very jealous. In the Canadian beta version, each box has five pre-selected snacks. Ho hum. 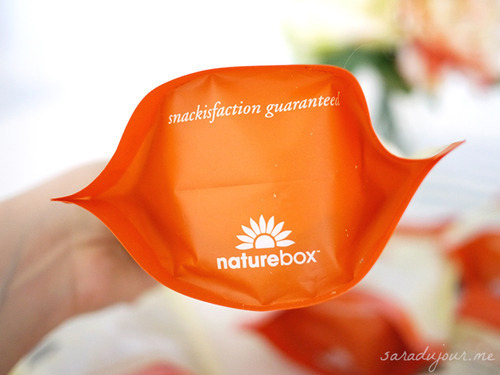 What is particularly wonderful though, is that for every box Naturebox delivers, they donate one meal through Feeding America to help the millions of Americans who go hungry. Here’s what came in my box. 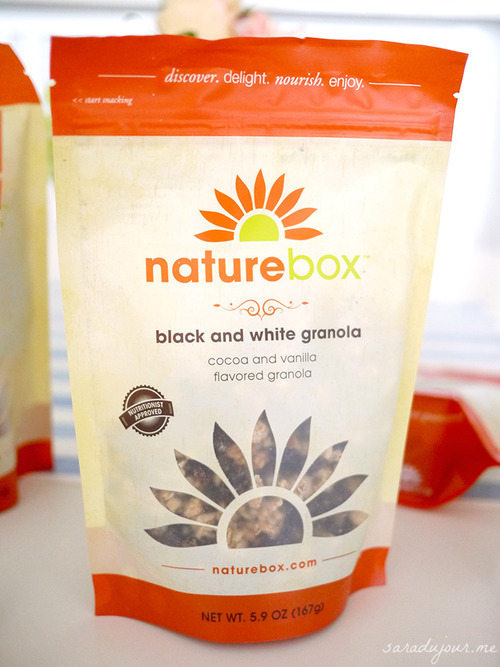 First, black and white (cocoa and vanilla-flavoured) granola. 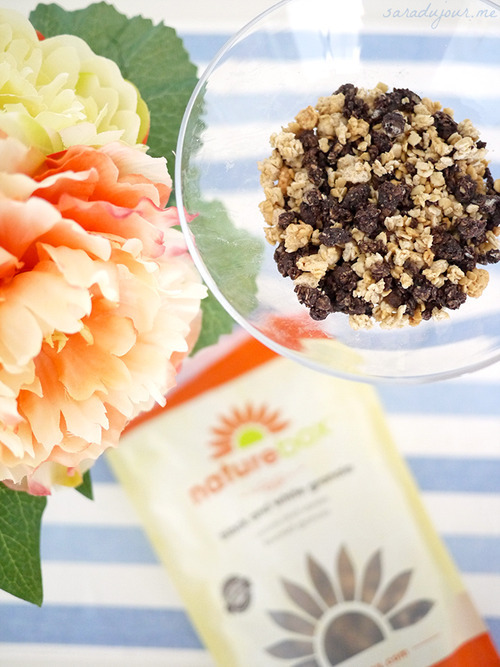 There’s not much else to say, I mean…it’s granola. Delicious but nothing revolutionary. 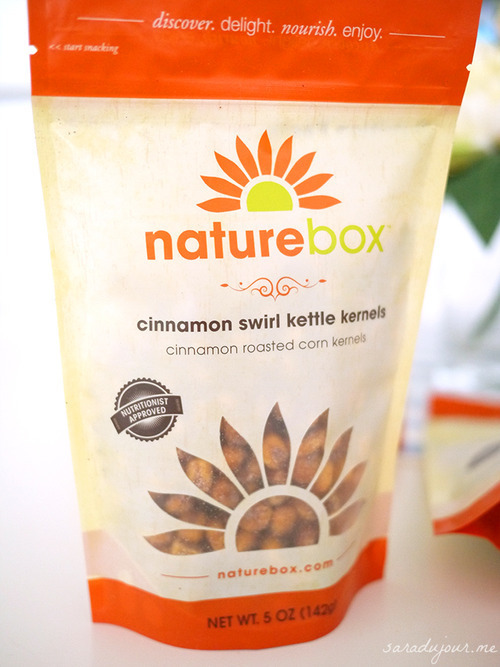 Next up come the cinnamon swirl kettle kernels. These I have mixed feelings about. They’re corn kernels covered in a flavoured powder that’s slightly sweet. 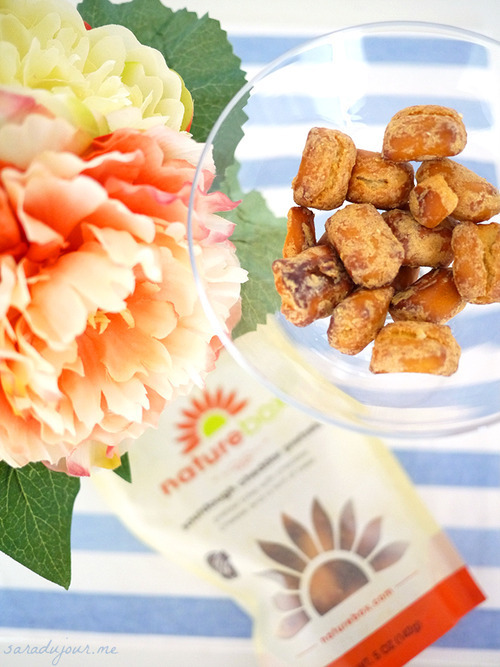 They kind of hit the spot when you’re craving crunchy junk food-type snacks, but they’re a bit…weird. I think they’re just too dense, and I wish they were more salty rather than sweet and cinnamon-y. The third snack I got were granny smith apples. These pleasantly surprised me! And while these are nothing new, somehow…they’re fun and get kind of addictive. I think it’s the chewy texture and the slightly sweet, slightly tart taste. It’s just something nice to munch on while watching Netflix. I was sad to have finished them! Now these guys were my favorites of the bunch, which did not surprise me at all, given the name: sourdough cheddar pretzels. Yep. I would say of all the snacks, these were the most “junk-foodie”. They’re crunchy pretzel bites covered in generous amounts of a cheesy flavoured powder, which tastes totally like the stuff on Doritos. They’re very salty and very unnatural-tasting. Which…I like. 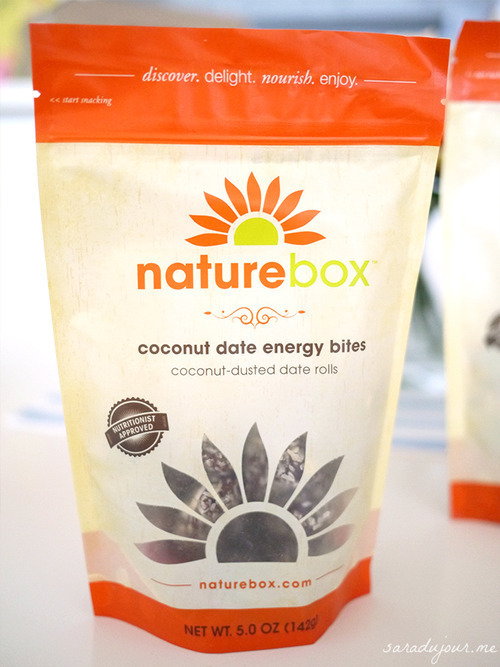 The last snack in my Naturebox were these coconut date energy bites. I used to eat these as a child, and hadn’t had them in years, so the taste definitely transported me back through time a little. If you like sweet, sticky things, these are for you. 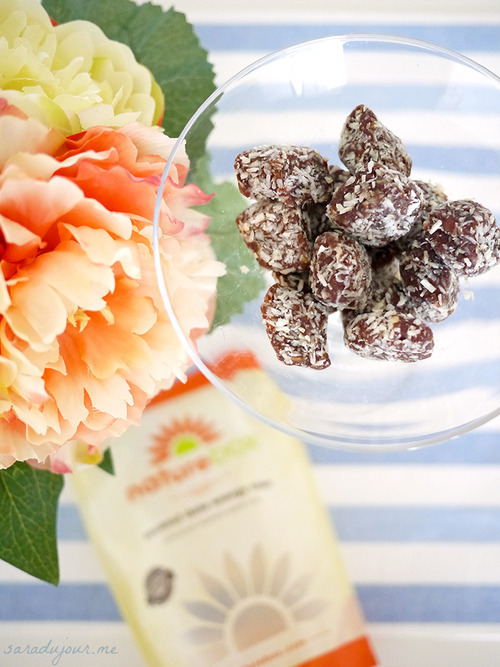 Dates are a delicious and natural source of sugar, and these are great to pop in your mouth when you’re running late but don’t want to leave home hungry. My overall impressions? It was fun, but for the price, I’m not sure I’d do it again. 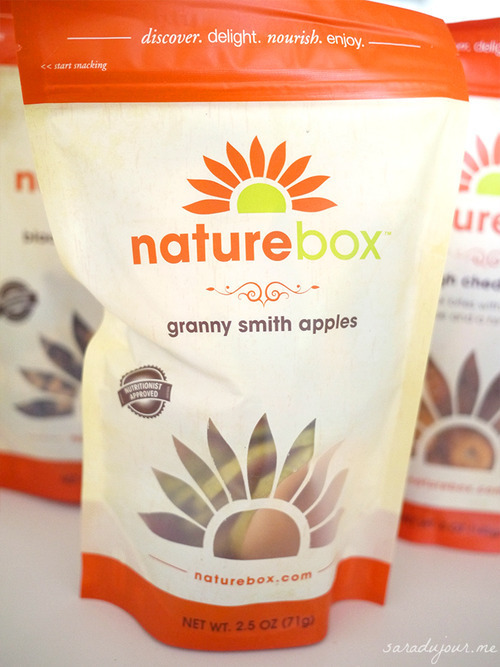 At least, not until Canadians get the full-functionality of Naturebox and get to choose our snacks according to our own preferences. 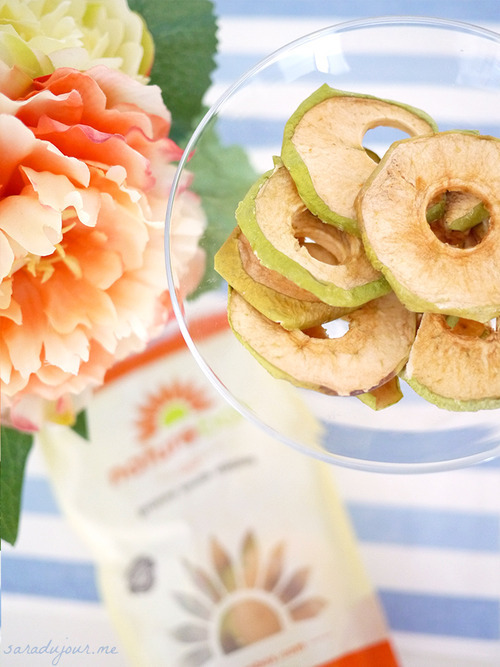 Of these five, none of them really blew me away – and definitely not enough to justify spending $5-6 on one bag of snacks.